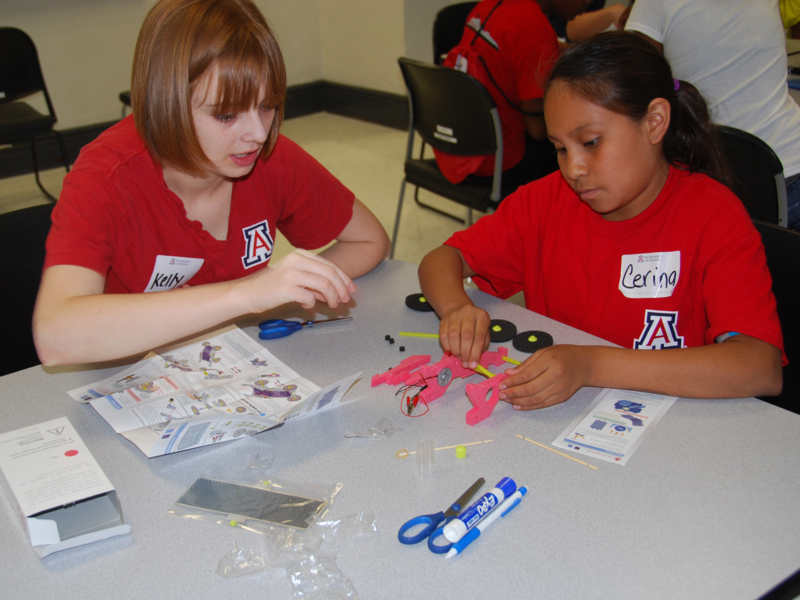 One of the keys to having youth pursue STEM careers is developing their personal interest in science and technology. Often, hands-on activities in out-of-school contexts provide diverse youth with low-pressure, non-academic environments in which they can explore their interests more freely than they may be able to in a formal school setting. A number of current ITEST projects conduct work in out-of-school and afterschool settings. You can search for these projects by visiting the projects section of our website. In addition, below is a list different resources about pursuing STEM education research and work in informal settings. As well, the Center for Advancment of Informal Science Education (CAISE) is the resource center for the NSF Advancing Informal STEM Learning (AISL) program and houses additional resources on this topic. (Event) In this webinar, leaders of current NSF projects will share the strategies, tools and technologies they use to measure youth interest and motivation in STEM in such settings. In addition, they will share their projects' findings and discuss challenges and lessons learned regarding measuring interest in STEM. (Publications) In community centers, labs, and classrooms, young people from around the country are diving into STEM learning experiences. (Publications) America After 3PM is the nation’s most in-depth study of how America’s children spend their afternoons and spans a decade of data chronicling how children spend the hours between 3 and 6 p.m. — the hours after school ends and before parents typically return home from work. (Publications) This report from the Exploratorium's Learning and Youth Research and Evaluation Center (LYREC) highlights trends, questions, and findings related to out-of-school-time science, technology, engineering, and mathematics (OST STEM) programs by drawing on the efforts of some two dozen federally funded programs that participated and presented their work at a conference held in Washington, DC in October of 2009. (Publications) The STEM 3D approach draws on evidence-based research demonstrating the proven ability of informal environments to act as an entry point to STEM and 21st Century skills for elementary-aged youth, as well as the value of involving significant adults and local communities when providing STEM learning opportunities for minority youth. (Publications) The University of Montana’s Paleo Exploration Project (PEP) was a professional development program for K-12 Montana teachers, which also provided authentic, field-based, residential summer research experiences for over 80 Montana middle school students. The program’s scientific focus was the ancient environments and fossils of eastern Montana, which to leveraged student’s innate interest in dinosaurs to build a deeper understanding of “doing science” and encouraged future pursuit of STEM coursework and careers. (Publications) Exergaming activities demonstrate how technology could be used as an instrument to reduce the impact of this disease. One can purchase commercial, technology-based exergames such as Nintendo Wii Fit or Xbox Kinect games; however, the authors developed a custom exergame using Phoenix Contact’s Nanoline microcontroller and nano Navigator software flowchart. The beauty of the flowcharting software is that people who have no or little programming experience can easily understand its structure. (Curricular Materials) Journey North engages students in a global study of wildlife migration and seasonal change. Use this site to track the coming of spring through the migration patterns of monarch butterflies, bald eagles, robins, hummingbirds, whooping cranes and other birds and mammals; the budding of plants; changing sunlight; and other natural events. Find photos, real-time mapping, the latest news, a compendium of facts, and other resources on these and other topics. K-12 students are invited to track and share their own field observations with classmates across North America on this site and now through a downloadable app. (Publications) In this study we examined three after-school settings for 8 weeks focusing on storyboarding, chatting on a social network site, videotaped conversations with volunteer facilitators, presentations the youth made at the end of the program, and structured interviews with researchers to look for evidence of learning in afterschool spaces. (Publications) Funded by the U.S. National Science Foundation, the University of Nebraska-Lincoln has spent the last eight years developing and implementing a comprehensive educational robotics program for youth ages 9-14. The program is delivered in informal (out-of-school) learning environments through robotics camps, clubs, and competitions and has provided robotics experiences to over 5,000 youth and 400 educators. (Publications) This paper describes the journey of a group of university students as they worked with underserved middle school students as mentors in a STEM-based afterschool program.